One of the most important decisions you’ll make when starting a business is choosing which type of business structure is right for you. Each type has advantages and disadvantages depending on your circumstances, which we will explore in future business organization blog posts. If you’re getting ready to start a business, it’s important to speak with a knowledgeable Washington D.C. business law attorney to determine which model is best for your situation. In the meantime, here’s a basic introduction to the different ways you can define and categorize your business. Sole proprietorships are one of the most common types of small business organizations. This is when there is a sole owner who maintains all the assets and carries on the business individually and not through a separate entity. There doesn’t need to be a formal charter from the state and the business is treated like a personal extension of the owner itself. A general partnership is when two or more people affiliate for the purpose of creating and operating a business for profit. General partnerships are governed under the Uniform Partnership Act, and the term person can include individuals, partnerships, a corporation, or other entity. Entities such as charitable, fraternal, and religious organizations are excluded since the requirement for a general partnership is to operate a “for profit” business model. Like a sole proprietorship, members have personal liability to creditors. Limited liability companies, or LLCs, may vary slightly from state to state, but in general they combine the best of both worlds – limited liability of a corporation and the income “pass through” of a partnership for tax purposes. This means the LLC itself does not pay income taxes. The profits and losses of the LLC are passed through to each member based on his or her proportionate ownership and reported on each member’s individual tax return. An LLC is formed by filing a certification of organization with the state, and it is defined by having members rather than shareholders or partners. Corporations can be the most complex as they have more strict guidelines and rules. This is because a corporation is essentially an artificial person that is created to do business that is entirely separate from its investors, creators, and owners. 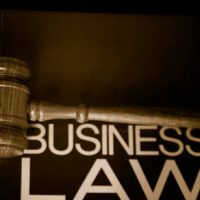 The corporation has liability for corporate obligations, but owners’ liability is limited to the amount of their investment. There are different types of corporations as well. Public corporations are those created by a government entity to administer government business. Examples would be federal corporations like the Federal Mortgage Association. Private corporations are those created by private persons for private purposes. They are then classified as for-profit or non-profit corporations. There is also the publicly held corporation which is owned by shareholders whose stock is traded, which means bought and sold on the open market. If you’re confused by public corporations versus publicly held, remember public corporations are those formed by the government whereas a publicly held corporation means it’s a private corporation owned by non-government entities, but they sell stock so anyone who purchases stock can “own” a percentage of the company. The experienced business law team at Tobin O’Connor & Ewing in Washington D.C. is here to help get your business up and running. We have experience setting up partnerships and corporations as well as handling corporate dissolutions and business disputes. Contact us at 202-362-5900 and let us help you ensure your new business venture is thoroughly protected.